After traveling 6,000 miles from San Francisco, CA we couldn’t wait to enjoy a relaxing and romantic weekend getaway in Bath. Traveling by train, the picturesque city of Bath is only a 90-minute journey from London’s Paddington Station. It’s an easy trip to make if you’re visiting London and want to escape to England’s beautiful countryside for a few days. Bath is famous for its magnificent 18th century Georgian architecture and its ancient Roman Baths. It’s also considered to be the most romantic city in the UK – and after our last visit there, we couldn’t agree more! This entry was posted in Europe, Food / Restaurants, Fun Things to Do, Travel and tagged bath, bath abbey, bath skyline walk, bath uk, dower house restaurant, jane austen centre, milsom street, pulteney bridge, rch, roman baths, royal crescent, royal crescent hotel, royal crescent hotel & spa, royal crescent hotel restaurant, sally lunns, spa & bath house, tea at the royal crescent hotel, the circus, thermal bath spa on January 3, 2017 by Alana. If you’re a history buff, you won’t want to miss a visit to Stonehenge, Windsor Castle and Bath during your next trip to London. Take a FUN Guided Day Trip to three of England’s most iconic and popular destinations (all in one day) and see for yourself what makes each of them so magical. Travel by air-conditioned luxury coach from London to Windsor Castle. Enjoy touring the world’s most famous castle. Next stop Stonehenge, a prehistoric stone monument that remains one of the great mysteries of the world. Continue on to Bath and explore England’s most beautiful Georgian city and ancient Roman Baths. All in all, a fun full-day adventure with memories that will last you a lifetime. 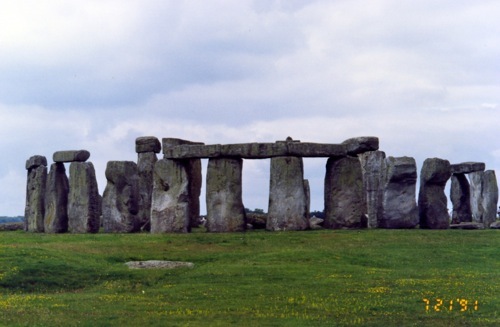 This entry was posted in Europe, Fun Things to Do, Travel and tagged bath uk, europe, Fun Things To Do in London, stonehenge day trip, stonehenge england, Stonehenge Private Viewing, Stonehenge Tours, stonehenge uk, United Kingdom, windsor castle on June 17, 2015 by Alana and Barry.